We’re late, and it seems that’s become somewhat of a trend for us lately. Our Game of the Year awards weren’t doled out until January, and now our look forward at the XBLA and Xbox One XBLA-type games of 2014 is just making its way to you now in February. You were on your own when it came to planning out January’s releases, but now it’s time for our annual look ahead at the top downloadable games likely to arrive on an Xbox platform during the (remainder of) the year ahead. Read on to find out what you can expect out of Xbox over the next (not quite) 365. First announced by Ubisoft at E3 2013 and heading to Xbox One and XBLA at an unannounced future date, Trials Fusion is the next game in RedLynx’s physics-based motorcycle racing series that found no small measure of success on Xbox Live Arcade. The first XBLA take on the series, Trials HD was extremely popular due to the fierce competition it inspired among players to hit the best runs on each of its 50 courses. That was nothing. RedLynx followed it up with Trials Evolution, which added an in-depth track editor and turned the franchise into a true obsession for its many fans. With Trials Fusion‘s announcement trailer showing off player failure, it’s evident that RedLynx once again intends to scratch the competitive itch inside gamers as vehemently as motorcycle tires scratching the dirt of a Trials course. It may have slipped under your radar a bit after Ubisoft announced it this past September sans the marketing and PR blitz that customarily accompanies Ubisoft game unveilings, but Valiant Hearts: The Great War looks to be worthy of your attention. Coming from Ubisoft Montpellier, The Great War is a puzzle-adventure game set during that other war of the world. The games industry has so often overlooked World War I in its rush to bring a profusion of WWII-themed games to market in the years since Saving Private Ryan‘s release, which made the second world war the setting du jour for historical shooters. Later this year, however, Ubisoft Montpellier will turn back the clock a few decades and drop XBLA and Xbox One gamers into the trenches of WWI later. Instead of being about putting the most soldiers on screen at once or blowing up the biggest blow-up-able things, Ubisoft describes Valiant Hearts as being about people. 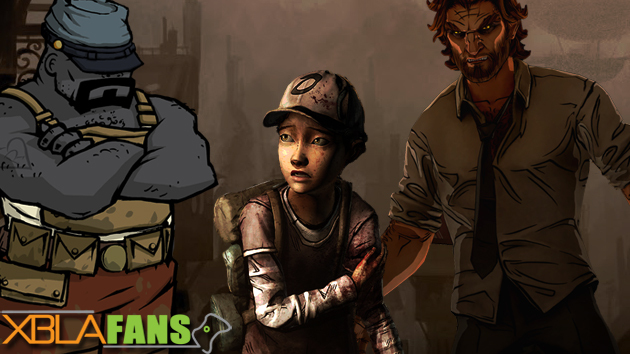 Its five playable characters are said to be “all trying to survive in the trenches while doing their best to hold onto their humanity in the face of loss and tragedy.” Although XBLA Fans hasn’t had the chance to go hands-on with the title yet, Rock Paper Shotgun did, and it believes Ubisoft Montpellier’s focus on humans surviving during war is promising, even if the initial demo didn’t quite deliver on the promise. Xbox gamers have been waiting a while for this one, and, unfortunately, we can’t say with certainty that the waiting will end in 2014. First announced for XBLA way back in August 2011 with a planned release of, well, 2011, Vessel still isn’t available on Xbox 360 and likely never will be. There is hope, however. Strange Loop Game’s John Krajewski recently informed XBLA Fans that while publisher Namco Bandai retains the rights to the Xbox 360 version of his puzzle game and has apparently lost interest in doing anything with them, Strange Loop has full control over a possible Xbox One version. If things break right, in 2014 Xbox One owners could get the chance to do what Xbox 360 owners never will: solve Vessel‘s liquid-based puzzles. 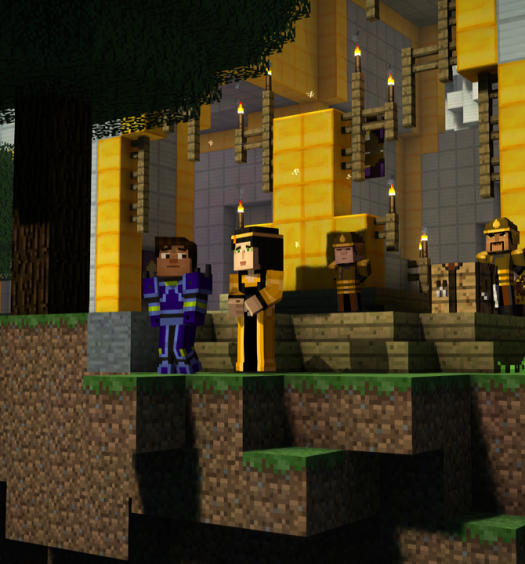 The dead will walk again in 2014, and so shall players talk again. 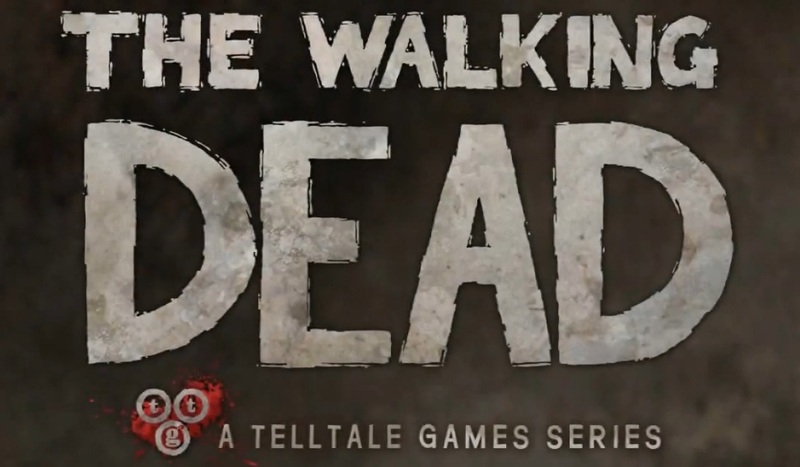 Season 2 of developer Telltale Games’ critically acclaimed The Walking Dead series got underway before 2013 was out, but those who’ve been playing along still have the majority of the season to look forward to in 2014, with the second episode said to be coming very shortly. The wait to discover what would happen to poor Clementine in the second season after she was left alone at the end of the first — haunted as much by her memories as by the shambling corpses of the deceased — was excruciating, and the wait between episodes to discover (and decide) what will happen next is no less painful for Dead fans. There’s no telling what fate awaits Clem in the episodes ahead, and that’s as much because Telltale hasn’t yet shown you as it is because you haven’t yet decided. Who’s afraid of the Big Bad Wolf? Everyone? No one? Someone? Anyone? Were The Wolf Among Us‘s Bigby Wolf still as solely fixated on sharpening his craft of eating people as he was back in the good (bad?) old days chronicled in fables such as Goldilocks and the Three Bears, then the answer would surely be “everyone save the Woodsman.” That’s not the case anymore, however. This Telltale adventure literally has a new sheriff in town, and Bigby’s him. These days he’s concerning himself with protecting the citizens of Fabletown rather than terrorizing them, so it falls to him to solve a murder mystery in The Wolf Among Us. Trouble is, many in his ward haven’t so easily forgotten his past transgressions and still fear him. Others hate him for being part of a municipality they see as corrupt. And as for the Woodsman, well, his feelings towards Bigby may have been tweaked some thanks to your actions in the first episode. Should he fear you now? Should he trust you? Telltale will provide you with ample opportunities to continue answering those questions as it periodically releases new Wolf episodes throughout the year ahead. And now, as they say, for something completely different: a supposedly 1,000-hour JRPG from a major Japanese studio coming to Xbox One as an XBLA-type game. Developed by Level 5, Wonder Flick boasts a score from famed Final Fantasy composer Nobuo Uematsu, production and direction from Level 5 founder and creative top dog Akihiro Hino, character designs from Final Fantasy XIII sub-character designer Nao Ikeda and monster designs by Tokuzo Nagano of Professor Layton fame. A JRPG being released as an XBLA-type would be rare enough, but one with that much talent and promise behind it is unheard of on Xbox downloadable platforms. As was relayed by Polygon, Hino told Famitsu Magazine last year that he makes a point to “never stick to the project document when we’re making games.” It was interesting to see him say that, considering that his latest project appears (at least from what’s been shown to date) to stick close to a planned retro JRPG revival theme with its turn-based combat, colorful and cartoonish art direction and boy protagonist. Wonder Flick isn’t completely stuck in the ’90s, though; the console versions will link up to a mobile app for added functionality. It could, however, be some time before the West finds out just how well those elements come together. The role-playing game is coming to consoles in Japan in 2014, and there’s no telling how long the localization process will take once Wonder Flick is content complete. Team17’s Worms has crawled just about everywhere since the series was first introduced in 1995. Its myriad games have appeared on more than two dozen gaming platforms. At some point later this year, next-generation consoles will be added to that list of platforms. Thanks to the ID@Xbox self-publishing program, Worms Battleground is Xbox One-bound. So what is Worms Battleground? Well, its a Worms game from Team17 that has grenades and battlegrounds in it. That’s about all we know about the title, which was announced but a scant few days ago. So, the only thing we can tell you at this time is that if you like blowing up invertebrates with frags, this one might be for you. If that’s not your thing, try checking out some of the many other XBLA and Xbox One games we’ve highlighted this week. 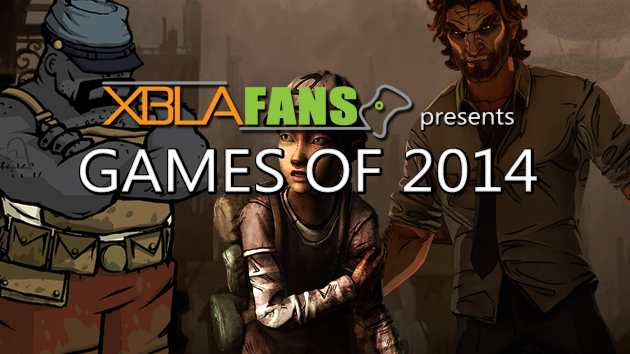 XBLA Fans Games of 2014 graphic designed by Brandin Tyrrel.